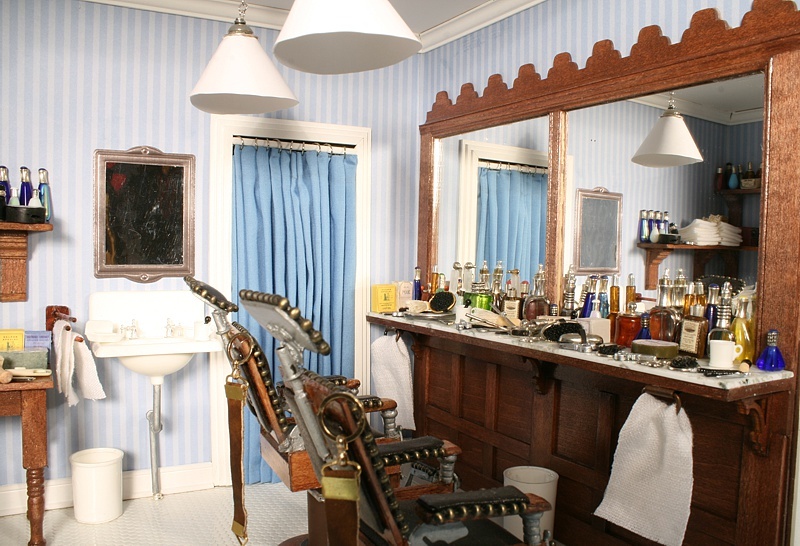 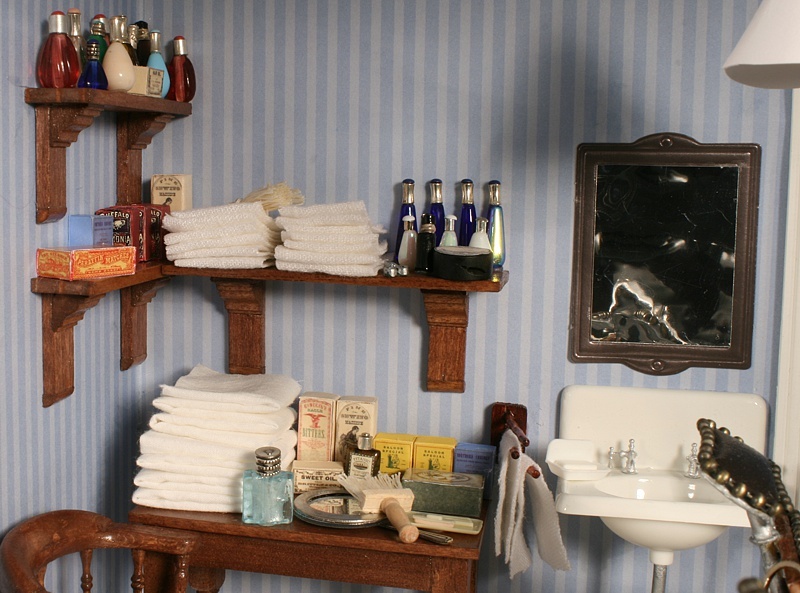 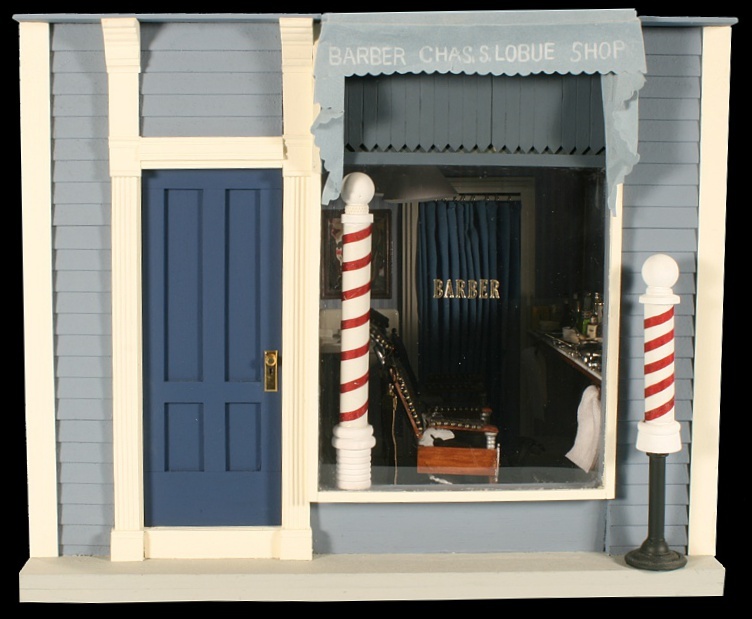 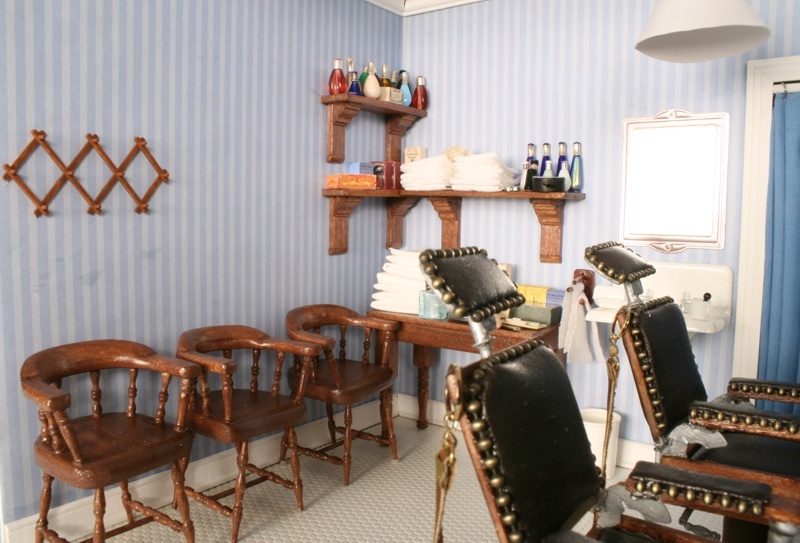 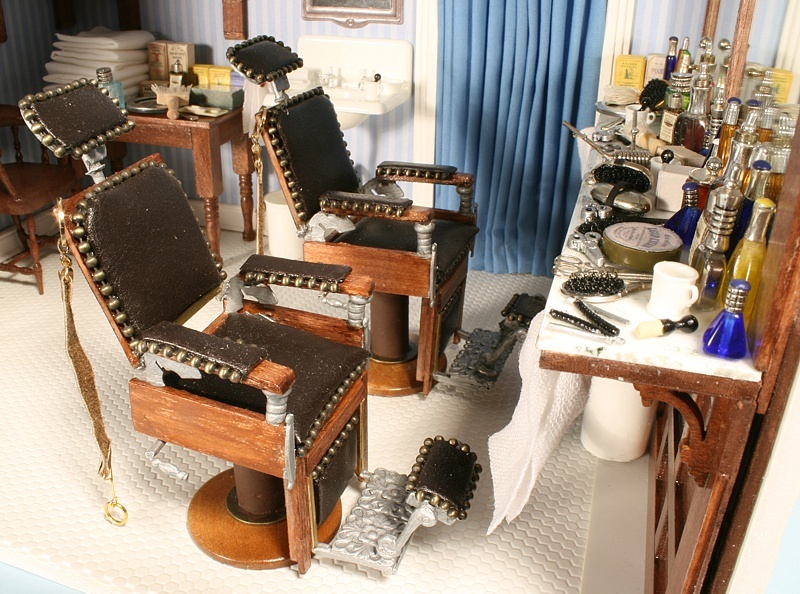 A recreation of Mary's grandfatrher's barber shop in Weehawken, NJ. 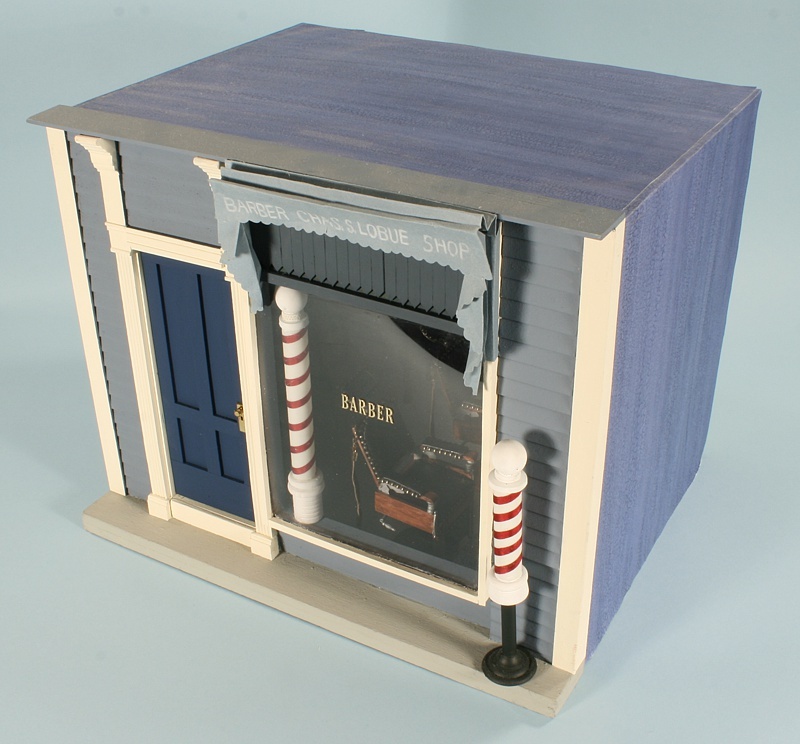 The interior slips out the rear of the 12" foamcore cube. 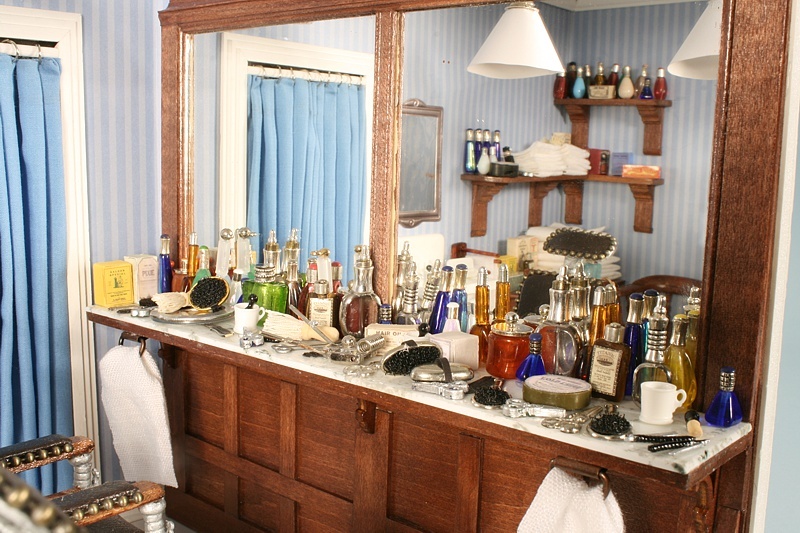 We have a fine selection of tonics and lotions. 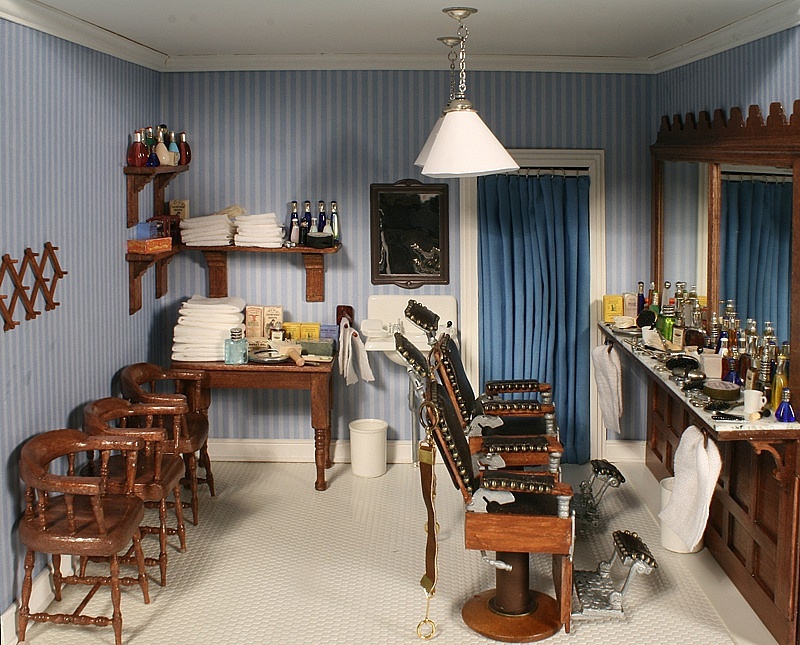 Okay, so we need to clean up a little.